Editors' note: Yvon Poirier is an editor of the International Newsletter on Sustainable Local Development, from which this article is copied. The Japanese Seikatsu Club Consumers' Co-Operative Union was the subject of both the spring and summer issues of GEO (#s 12 and 13) in 1994. Seikatsu has grown since then to include 290,000 households. It is notable for its combination of worker and consumer co-ops, its insistence on high food quality, and for its direct involvement in local politics in the Tokyo area. Yvon comments that the current conservative government is doing all it can to undermine co-ops and other similar sectors. In 1965, a citizens' movement of women consumers emerged around the issue of food security. The quality of food (chemicals, mercury pollution, etc.) had become a major preoccupation. The movement understood very early on that just demanding stricter rules from the government was not enough. Therefore, transforming itself into a consumer co-op was a natural step. At first, the co-op focused on the collective purchase of milk. Since then, the co-op has extended its activities to about 3,000 products, mainly in basic foods such as rice, chicken, pork, vegetable oil, soy sauce and eggs. It's important to specify that the word "Seikatsu" means "life" in Japanese. Therefore, even if the movement has become a union of consumers' co-ops, the basic philosophy is still rooted in this linkage to life. As of June 2007, the Seikatsu Club is a union of 30 local co-operatives with a total membership of over 290,000; 99.9% of whom are women. This is explained by the fact that Japanese society is in some regards very traditional. Therefore, social pressure strongly incites married women with children to quit the labor market, such as was the case in North America and in Western Europe a generation or two ago. This explains why the domestic consumption sphere is mostly a woman's realm. Pre-order collective purchasing is still the main activity of this organization. However, addressing issues of food security and sustainable development has been incorporated into this process. Therefore, to get accreditation as milk, meat or cereal producers, suppliers' agricultural practices must be as healthy as possible. For example, producers do not use feed stock containing genetically modified organisms (GMOs); chicken are not treated with antibiotics, etc. Relating to these activities, the organization naturally embraced sustainable development practices. For example, milk is distributed in glass bottles. Seikatsu Clubs recycling rate is over 77%. There is no packaging with materials containing polyvinyl chloride (PVC) and campaigns are organized with other groups, such as "Stop GMOs". The Seikatsu Club Consumers' Co-operative Union has established three jointly owned milk plants with milk farmers. It also owns chicken farms. In Japan this is the only consumers' co-operative which has done such initiatives. The Seikatsu Club Consumers' Co-operative Union is about to launch a new project where consumers in urban areas act as "part time farmers" to support farming in rural areas in order to preserve Japanese agriculture and the environment. One of the reasons for this is that over 60% of Japanese farmers are 65 or older. The philosophy of the Seikatsu Club Consumers' Co-operative Union is that if consumers want to have a sustainable society and safe foods, consumers should have responsibilities for production processes along with producers. As a result of these practices, the Seikatsu Club Consumers' Co-operative Union is not only a consumers' co-operative but also a producers' co-operative. 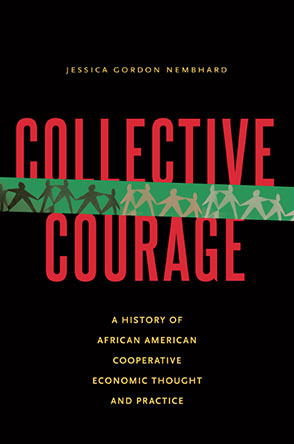 Over the years, the members have launched workers' collectives. There are now over 700 collectives, with nearly 20,000 members. Since there is no law in Japan for workers' co-operatives, the members had to use the non-profit organisation status. However, they function as if they were worker-owned co-ops. The range of activities is very broad: preparing meals for elderly people, homecare, kindergartens, handicrafts, recycling, etc. Having understood that merely making demands to local authorities was not enough, some members decided to get directly involved in politics by presenting candidates for local assemblies in the Tokyo Metropolitan region. The name they chose "Seikatsusha Network", means People who live in the sense of "inhabitants". Today, there are over 140 elected members in local assemblies, all women, who work to push the co-ops' concerns. The Seikatsu Club believes that, a cooperative society, a society that works together, is a prerequisite for global social change. To this end, Seikatsu Club is working to create local Community Cooperative Councils, especially in Tokyo, composed of all organizations in a given territory: cooperatives, local producers, citizens' movements, unions, workers collectives, associations, educational institutions, etc. The objective is for the community to take charge of itself. The principles are quite similar to sustainable local development or community economic development as it is known in Canada. We believe it is now the time for co-operatives to play a big role, both in their various communities and as the world's largest non-profit organization, in building the new global public sphere. The Seikatsu Club has been active for over 20 years in the field of influencing global issues. Since 1983, it has developed close links with similar organizations in Korea and Taiwan. The organization participated in the 1992 World Summit in Rio and in a UN conference on disarmament. The Seikatsu Club is giving priority to developing exchanges and solidarity actions with similar organizations. For more information on Seikatsu, visit their website.